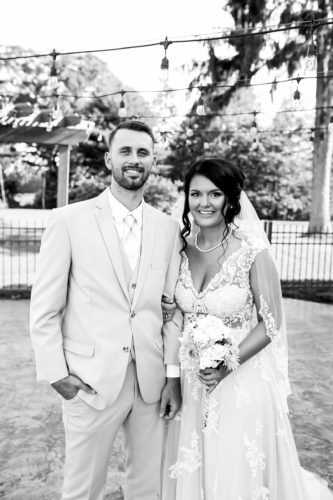 EAST LIVERPOOL – Tarrah Dawson and Jordan Waterfill were united in marriage 3:30 p.m. on Saturday, July 20 2013, at Boyce United Methodist Church. Pastor Rick Dawson, (father of the bride) and Pastor Mark Blakeley, (father of the groom) officiated the double ring ceremony. 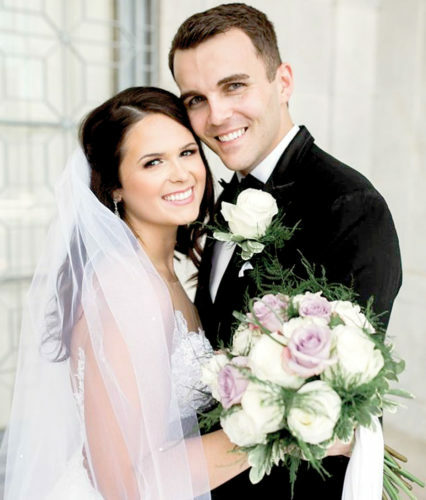 The bride is the daughter of Pastor Rick and Dona Dawson of Sycamore, Ohio. The groom is the son of Pastor Mark and Mary Blakeley of East Liverpool, and David and Elizabeth Waterfill of Kentucky. She wore a strapless Allure ball gown. The gown featured fitted bodice, detailed in silver stoning, with a deep sweetheart neckline and a shallow scoop open back. The waist band is embellished with intricate embroidery and Swarovski crystals, followed by a full skirt with flattering pleats from the waist band through the hemline. The bride chose to make her bouquet of brooches given to her from family and friends. 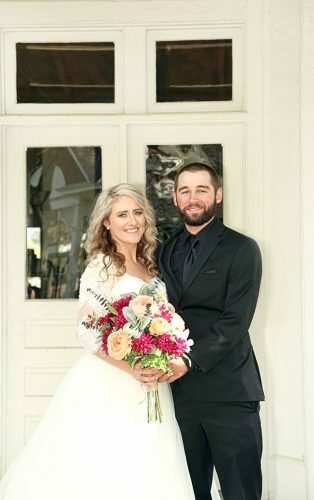 Rachel Cornelson of Kentucky, friend of bride, served as Matron of Honor. Bridesmaids were Taylar Jordan, cousin of bride, Brittney Dysert, friend of bride, both of East Liverpool. Junior bridesmaid was Gracie Murray, cousin of bride, of East Liverpool. Flower girl was Megan Moser, cousin of groom, of East Liverpool. 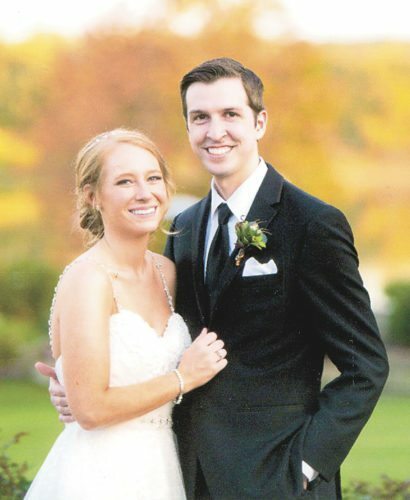 Joshua Blakeley, of East Liverpool, brother of groom served as best man. Serving as groomsmen were Tyler Murray, of East Liverpool, cousin of bride, Matt Varian, of Youngstown, friend of groom. Junior groomsman was Brandon Blakeley, cousin of groom, from East Liverpool. Grant Wright and Owen Davis, of East Liverpool, cousins of bride, served as ring bearers. A reception immediately followed at St. Judes Hall in Columbiana. The rehearsal dinner was catered by Chelsea Rawson at the home of Mark and Mary Blakeley, parents of the groom. 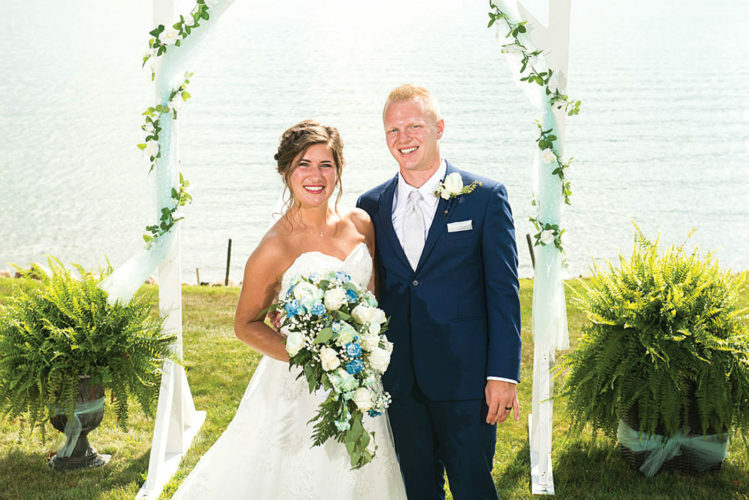 The bride is a 2006 graduate of Wynford High School, and a 2011 graduate of Asbury College with a bachelors degree in Social Work. She is currently attending J.D. Rockefeller IV Career Center, working to become a nurse. 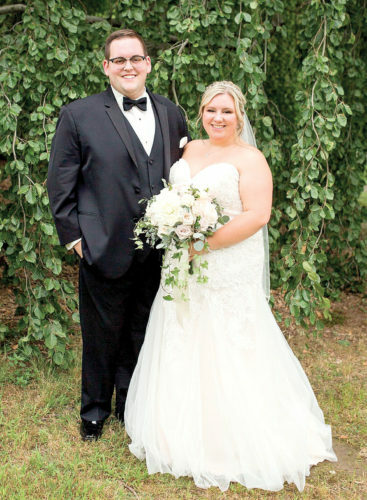 The groom is a 2008 graduate of the East Liverpool Christian School. The groom went to Lincoln Electric in Cleveland, for welding, and Cambridge, for pipe fitting. He is currently a member, and working out of local union 495. The couple reside in East Liverpool.